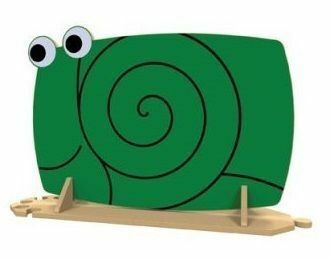 Snail room divider designed for use in nurseries and schools perfect to create split classrooms. Manufactured from high-quality MFC, this durable product is painted in Bright colours and finished with Vinyl detailing. The base has a jigsaw feature which can be used to link up to other dividers in the range which include Tree Frog, Honey Bee, Monkey, Elephant and many more.